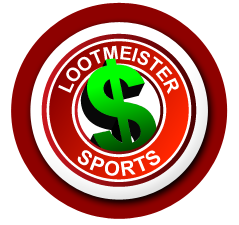 Welcome to the Lootmeister baseball handicapping articles page! Here you'll find a collection of articles written by MLB handicappers who have spent countless hours following the game and watched thousands of games as well. These guys have bet, won, lost and seen just about every scenario and outcome that one could think of. Our point is that these guys have wisdom. Wisdom only acquired from handicapping games for over 15+ years and watching games since we were old enough to hit a ball off a "T". We've had trial and we've had error. We lost our butts for years before we even got a sniff of winning. Now you get all of this knowledge packaged up in one tidy click. Enjoy the articles listed below, which will surely increase your odds of beating your bookie! Parallels Between Baseball Bettors and Players - We often look at what the players of baseball and those who bet on MLB as two completely different worlds. And for the most part, it is. But a surprising amount of traits that lead to success can be found both with players and bettors of the game. Similarly, a lot of bad teams or disappointing players share some of the negative traits seen with consistent losers in MLB betting. Loot breaks it all down in this article. Take a look! Emotions and Baseball Betting - When we're trying to win money at baseball betting, we need to have a clear-headed approach where we leave our biases at the door. But baseball is a difficult sport for people to be so clinical. There are teams we like and dislike and any number of different biases that can send our handicapping sideways. In this article, Loot breaks down why the game is so emotional for people and what we can do to operate with a clean slate when betting. Click here to read! The Power of Changing Your Opinions Constantly - The baseball season is long--162 games where teams and players can undergo many different manifestations over the course of the year. In other words, baseball bettors need to stay on their toes, remain flexible, and be willing to change their views as things change in the league. In this article, Loot helps us understand how remaining flexible mentally is one of the keys in becoming a successful MLB bettor. If It Doesn't Work - Get Rid of It - There are times when we have a certain way of looking at the betting of baseball that pays off at first. And over time, that aspect stops producing, as we start losing money by looking at games and wagering a certain way. In this article, Loot explains how we need to always update our material and what worked yesterday won't necessarily work tomorrow. Click here! How to Handicap Baseball (Part I of III) - Lootmeister starts out with the most important variable in a game; starting pitchers. He goes on to talk about WHIP, ERA and matchups. He cautions that each game has it's own story and not to read too much into past history of a pitcher's performance at the start of a season in April, which may differ from that of a game near the end of the season. How to Handicap MLB Games (Part II of III) - Loot points out how today's internet age allows for much more statistical analysis than years past and how you've got so much info at your fingertips. He emphasizes the importance of doing your homework to gain an advantage on the bookie. The sportsbooks are forced to put a line out on every game. You're not forced to bet on every game. This gives you somewhat of an advantage. He also notes the importance of checking bullpen availability and weather reports. How to Handicap Major League Baseball (Part III) - Loot talks about realistic expectations and getting yourself in the proper mindset for a sport where failure is all part of the norm. Loot also stresses the importance of betting underdogs. The Greatest Italian American Major League Baseball Players - Over the years, the Italian-American community has been one of the more baseball-crazy groups in the country. And from time to time, they have also produced some of the more-memorable stars in Major League Baseball history. In this article, Loot discusses some of the more illustrious Italian-American baseball players in history. Evaluating Matchups - Don't do what the bookies want you to do. Some online sportsbooks offer free stats on their sites. Do you really think they'd offer you this if it gave you an advantage to beat them? Loot urges readers to look past the simple stats such as win-loss records, ERA and big name starting pitchers. You have to dig deeper to increase your winning percentage and chances of beating the bookies. Loot gives you direction on what baseball data to mine in order to get it done. When Stats Lead us Astray - Statistical information is everywhere. heck, come online sportsbooks even offer it on their sites. Loot points out that they wouldn't be doing this if it were to your advantage. Most stats are junk. Loot urges readers to dig deeper and look into the statistical splits of current situations rather than season stats that don't tell the whole story. Gathering Valuable Information During Spring Training - Loot advises that serious baseball handicappers start scouting prospects early in the preseason and conversely, to ignore veteran pitchers performances as they're no indication of how a vet will perform during the season. Veterans roster spots are likely locked in and they know where they stand with an organization, unlike a young player, who is fighting to make the team. In summary, analyzing preseason games is a great way to give us an edge in the awareness category. How Weather Affects Baseball Betting - In this article, Loot ties in the importance of weather concerns and how they play a key role in your MLB handicapping. Read about the different weather considerations and how to account for them when planning your baseball wagers. Evaluating Starting Pitches - Too many baseball bettors check out a pitcher's win-loss record, ERA, WHIP and then click over to their favorite online betting site and place their bet. You simply can't expect to win this way. A MLB hurler goes through many peaks and valleys throughout the long 162 game season. What if his season ERA is 2.75 but hes 1-3 with a 5.98 ERA in his last 4 starts? Loot gives more angles in this article that will help increase your odds of beating the books. Does Good Pitching Beat Good Hitting? - This question has been asked for ages. As the years go on, the answer has become more clear. These days, starting pitchers don't go as deep into games as they used to. Bullpens have gotten better, but haven't kept up with the progression of today's hitter. Loot talks more about this hotly debated topic. Handicapping Rookie Pitchers - A player can have huge success in A, AA and AAA ball, but none of that success guarantees that a prospect will kill it in the bigs. Loot talks about all of the different scenarios relative to rookie MLB hurlers and how it ties into betting on baseball games. Underrated Parts of Major League Baseball Betting - Most recreational handicappers simply examine pitching matchups, batting lineups and how well/poor a team has been playing. Loot urges readers to go off the grid and get into the nuts and bolts of the game such as looking for teams who can manufacture runs and not solely rely on power. Handicapping Bullpens - The times are changing! Starters simply don't go as many innings as they used to. Unfortunately, that means more work for us handicappers. You're shooting in the dark if you're not analyzing each team's bullpen and which pitchers are burnt, fresh, available, not available etc. Handicapping Short Rest Postseason Pitchers - Tips on how to handicap and analyze MLB playoff games when a pitcher is starting on less days rest than his normal rotation.